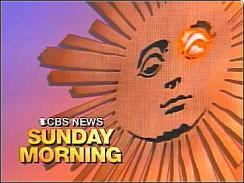 Did you see the special guest commentator on CBS Sunday Morning last Sunday? As you cats and kittens know, I’ve been a bit of an absentee landlord lately. It’s not due to a lack of interest, but, as I’ve noted in the past, it’s because I’m down to just internet access through my phone. I do have regular internet access once a week on Fridays but I usually don’t have time to do my usual posting or research or deep ruminations on the art of waiting tables. There’s a new place for waiters of all stripes to hang out and it’s called The Waiters Today. Not having a lot of time to dig deep into it (this I can do on my phone later), I can’t comment too much on the content, but what I see looks really good. It looks like both social hangout and informational source. I hope that everyone goes to check it out. Feel free to report back on what you find by using the comment section. Feels good to post anything these days. There’s a chance that I might be able to really get back on-line soon, but until then, keep it clean and earn those 20% tips, my lovelies. Don’t get me wrong – doubleseats are part of the routine. Waiters should be able to handle them when they occur. Hell, I’ve posted quite a few strategies about handling them. What annoys me is when managers or hosts or hostesses doubleseat when they don’t have to. The mindset is that waiters should be able to handle any doubleseat and that’s true enough. …a doubleseat should actually be a last resort. Why, you might ask. Well, it’s simple. It’s automatically offering worse service than if you didn’t get doublesat. Even though it goes smoothly most of the time, you can’t give your full attention to each table, especially at the beginning of the meal. Plus, it sets you up for getting doublesat all night long. What happens if one (or both for that matter) table is especially talkative? What happens if one of your tables needs special attention such as helping with wine selection or having to serve two or more wines? And imagine if you get a third or, god forbid a fourth table on top of the doubleseat before you even get the first two’s orders taken? Despite the fact that waiters should be able to handle double-and-tripleseats, managers need to change their mindsets and stop thinking that “it doesn’t matter”. Managers should avoid doubleseat until there is no other clear choice. About a month ago, I actually got doublesat as the first two tables in the entire restaurant at the beginning of a shift. While it was no big deal in terms of service, that meant that there was no real sense of rotation. Our restaurant doesn’t get sat in any sort of real rotation since we have more than our share of call parties and regulars who have to sit at a particular tables. But really guys – can’t you think a little bit before you seat the first two tables in the same sections? Really? Sometimes hosts and hostesses and other seating authorities have to move someone who doesn’t like their table. This can throw off the rotation, but the seater should be flexible and be able to figure out how to get the rotation back. Most of the time, it’s just laziness. As I said, it’s the manager’s mindset that waiters should be able to handle doubleseats so they don’t bother to demand that their hosts and hostesses or they themselves prevent it from happening. When it gets busy, you don’t have much of a choice. But when you have 10 waiters and three of them get doublesat before the restaurant is even half full, you’re just setting people up for failure and you’re being slack in your responsibility to provide the best service that you can. Tip suggestions on receipts usually are after-tax, but is that fair? Even some restaurant owners are surprised to find the recommendation is typically calculated based on the total including tax. That flies in the face of etiquette advice. Glendale resident Lee Lanselle ate breakfast the other day at the Hill Street Cafe in La Cañada Flintridge. As he waited for his credit card receipt, he worked out the tip in his head. The receipt arrived and Lanselle was surprised that his estimate of a 15% tip was less than the “suggested gratuity” printed on the form. A closer look revealed that the recommended tip on the receipt included the full amount of the meal, including taxes. 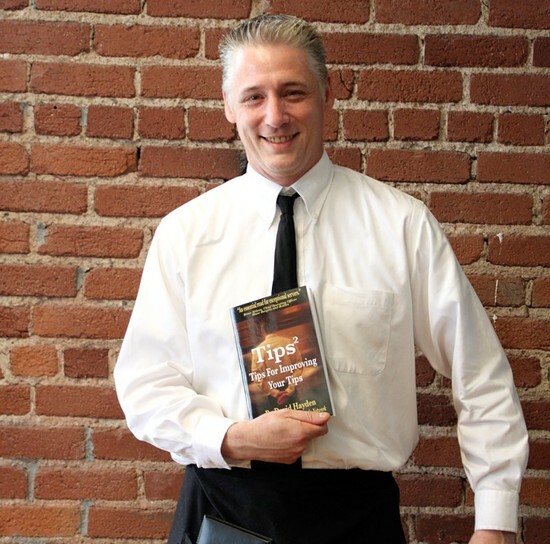 Basically, the article goes on to cite etiquette books as saying that tips should be pre-tax. I’m probably going to piss off fellow waiters by saying that I understand this sort of thinking. If a tip is clearly tipped on pre-tax (by clearly I mean an “exact” percentage like 15 – 20%), it doesn’t bother me at all. As a matter of fact, years ago, my mom asked me, “Why should I tip on the tax”? I answered, “I don’t know, but it’s not very much difference, and your son is a waiter, so why don’t you just tip on the final amount”? After that, she always tipped on the final total. 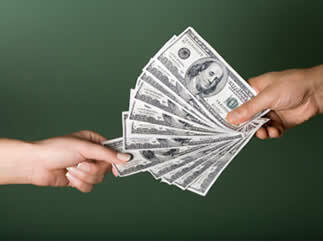 …one advantage of tipping on the post-tax total is that it’s a little easier to tip on the final total, since that’s the total that’s reflected on the credit card bill (when paying with a credit card, of course). Also, not every restaurants shows all of the taxes that are paid, because some of the tax is included in the price of alcohol (my restaurant actually breaks it out, but it’s the exception, not the rule). Considering that the tax usually only adds between $.50 – 2.00 to the tip, it seems to me to be easier to simply use the bottom total. Of course, there is self-interest involved, so I can’t claim to be a neutral observer. There’s another factor as well – believe it or not, I’ve found that the majority of people actually tip on the final total. When the bill is, say $60, generally I’ll get a $12 tip, assuming that the service has been fault-free. Sometimes I’ll get $9 even if the service has been impeccable, because some people only tip 15% regardless of how stellar the service has been. I rarely get $11 or $8.25. I think that people are just used to looking at the total on the credit card. Obviously, I’m just fine with that. Having said that, it doesn’t bother me when I get one of the latter tips, since people sometimes find a way to “round down” as well. Every waiter knows all too well that if you have a check for $59, sometimes people will tip as if the bill was $50 instead of $60. So, I might get $10, with the guest thinking that they still tipped 20%. So the waters get muddied if you aren’t tipping on the total amount. Is that a reason to tip on post-tax? I’m not convinced that it is. 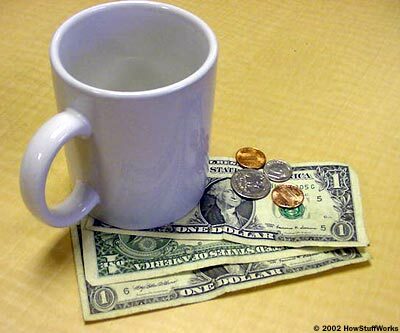 However, if you really want your waiter to know the exact percentage that you’re tipping, tipping on the final total is a good way to ensure that, and it usually doesn’t cost that much to insure it. So…tip pre-tax or post-tax. However, at least try to tip something other than a random amount like, say, 13% of either total (unless of course, you’re trying to send a message that service was sub-standard). Obviously, the amount of tax that your community charges affects this, but rarely does a 13% tip on post-tax equals a 15% tip on pre-tax. 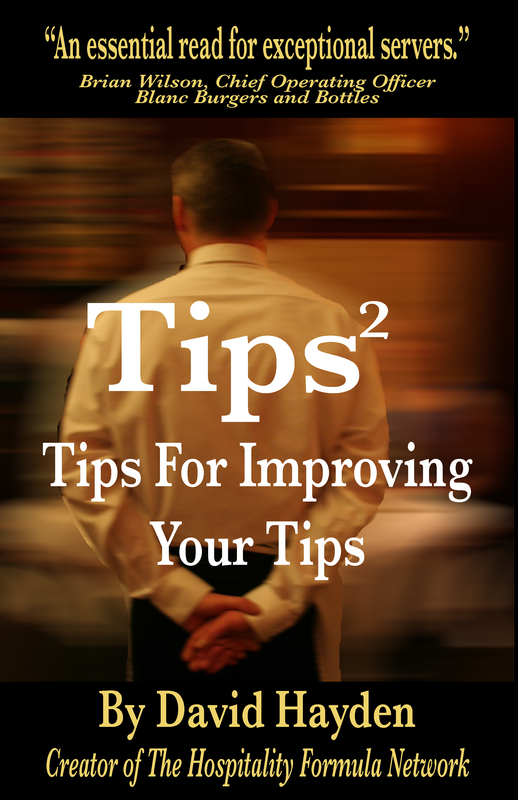 Try to make it easy for your server to figure out whether your tip is truly reflective of the service that you’ve received. I still say that any waiter will very much appreciate the generosity and lack of “saving a few pennies” if you tip on post-tax. It’s a nice thing to do, and don’t we need more of that these days? Besides, it’s positive reinforcement for a job well done. Finally, in every restaurant that I’ve worked in, any auto-grat is based on pre-tax. That may not be the case in every restaurant. Business dinners invariably have a host. He or she might not be called The Host, but there is always someone “in charge”. It might not be the boss, it might be the boss’s administrative assistant. It might not be the boss’s administrative assistant, it might be the head of HR. It might not be the head of HR, it might be the “party planner”. It might not be any of them; it might be the “on-site contact”. In any event, it’s always helpful to find the person with the power. The power might actually be shared by more than one person. One person might have the power of the purse while deferring to the “wine geek of the company”. Or The Boss might be the center of power but is merely the person that everyone is deferring to (read “sucking up to”), while someone else is making all of the critical decisions (bottled water vs. tap, drinks by the glass or wine by the bottle, cheap wine vs. expensive wine, etc.). If you work off of some sort of written contract, and there’s a person designated as on-site contact, it’s important to find them as soon as possible. As people arrive, I usually ask the first people if they will tell me who it is when they arrive. Sometimes it’s the first person to arrive but it isn’t always the case. I try to find out a couple of things. First, is this a formal business meeting or is it just colleagues just getting together socially? 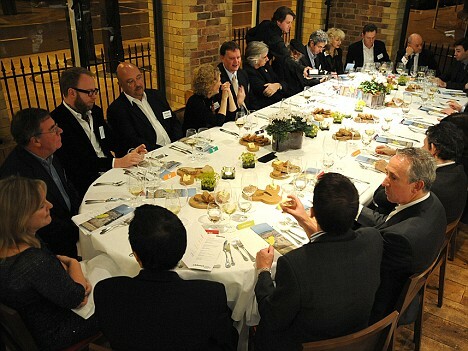 If it’s a formal business dinner, is there going to be a presentation, lecture, Q&A, or any sort of structured timetable? If there is a presentation, should service cease until it’s over or does the service staff serve through it? If it’s the former, I always like to find out if that means no presentation of food but continuation of refilling glasses, taking drink orders etc. Sometimes they’ll even ask the service staff to not reënter the room until the presentation is over. You don’t want to teach the person all of the nuances of service, but you should try to find out as much information as you can without making the contact’s head spin. Next, you’ll want to ask if they want to offer bottled water to their guests. If so, do yourself a favor and just offer flat water. Try not to say “sparkling or still or both”. 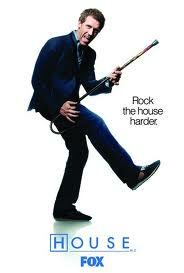 Make it easy. If someone prefers sparkling as you pour around, just get them sparkling water. You don’t want yourself or your server assistants to have to keep track of who’s having what. If you have no “on-site contact” name, don’t be shy about asking who’s in charge as soon as people start arriving. Identify the person in charge and go through the previous sequence. The next thing you’ll want to find out is whether they want to choose wine for the group (if it isn’t already known). Sometimes they’ll defer to someone else. Before you talk to anyone around wine, have a couple of “go-to” red and white wines in the budget, mid-priced and expensive category. You don’t want to fumble around if they ask you on the spot what you’d recommend. My strategy is to lead with wines in the $50 – 70 range unless it looks like they’ll want something expensive (this is a matter of feel – sometimes you can just sense that this is an important function where they’ll want to impress their attendees). But I generally don’t offer suggestions immediately. I like to hand them the opened wine list and point out the various categories. By doing that, I can sometimes tell what price range they are focusing on by following their eyes and their fingers. If they are only looking at budget wines, that tells me that I need to avoid talking about more expensive wines because I don’t want them thinking that I’m trying to gouge them. Next, I want to find out if I can provide appetizer assortments for the group. I try to imply that sharing some appetizers can make it a smoother dinner since there’s one less decision that each attendee has to make. While the “power person” in the room might not be paying or even making any decisions about food and drink, they are still the Alpha of the group. You always want to be cognizant of their mood. However, you never want to give them extra attention. The same goes for the person who ordered the wine or the person who’s paying. You don’t want them to think that you’re grassing for the tip or avoiding their guests to concentrate on them. Just always be aware of them throughout the meal. These are just some general guidelines for working with the host of the party. Feel free to flesh out the subject by commenting.